I finally get my first 'real' bike. 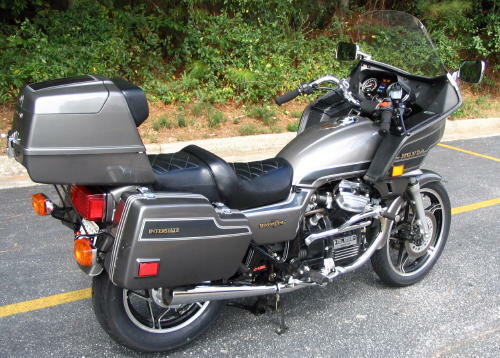 1983 Honda GL650 'Silverwing' Interstate. 60 HP, 674cc shaft drive transverse v-twin. 17K miles and two owners...one brother inherited it from the other. There is no way to rule Innocent Men. The only power any Government has is the power to crack down on Criminals. Well, when there aren't enough criminals, one makes them. One declares so many thing to be a crime that it becomes impossible to live without breaking laws. Take a motorcycle safety course!